Hi eYeka, Most of the time, when it comes to food, you have to compromise… You can pick a very healthy snack but you will miss the pleasure of a sensorial moment… or you could indulge yourself in a treat but then you would feel bad about eating something too fatty. With Milner Cheese, you can stop compromising. 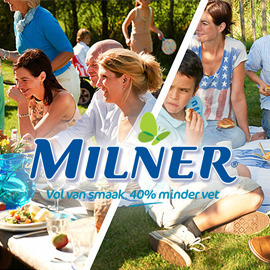 Milner cheese is the perfect choice for people who love cheese and enjoy life, knowing that a healthy diet is important. Can you surprise people with the benefits of Milner’s low fat cheese? Show us in a creative, clever and entertaining video that surprisingly, with Milner, you no longer need to compromise between taste and health. Format: Videos or animations, no longer than 30 sec.